Enduro preperation course. 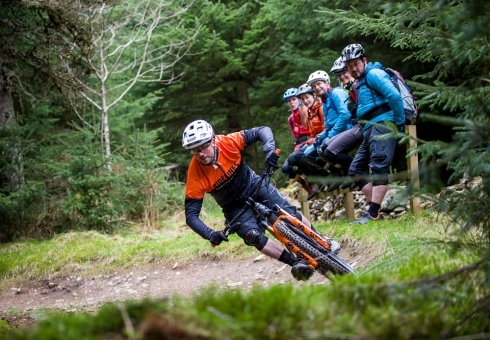 Get to grips with Enduro trails with Ridelines.Enduro preperation course. 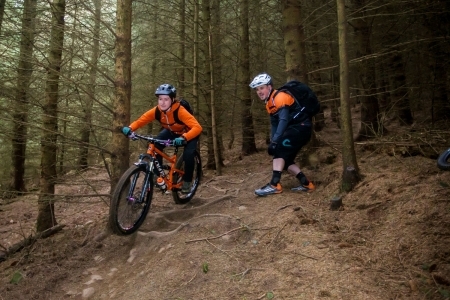 Get to grips with Enduro trails with Ridelines. REFINE YOUR TECHNIQUE ON STEEPER, MORE DIFFICULT TERRAIN. 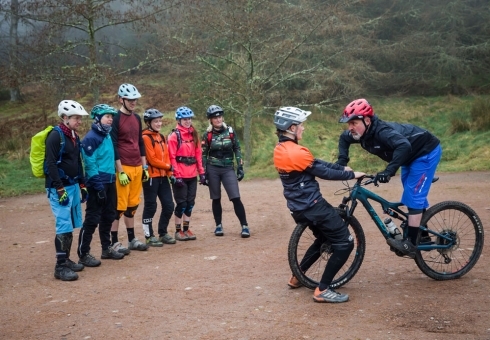 For the mountain biker who wants to learn some extra technical skills for riding rougher, steeper terrain. From advanced body positioning that assists your flow on hard lines, to tackling drops, roots and rocks. 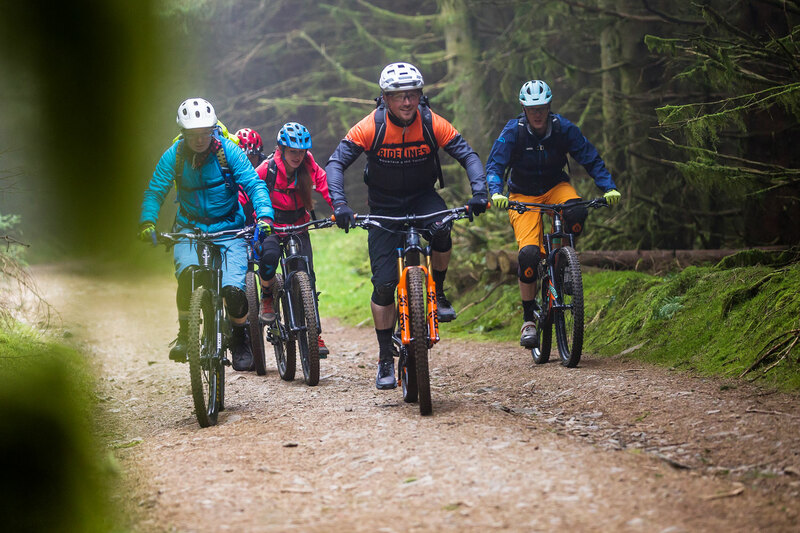 This group course concentrates on tight, technical terrain where good, fast decision making is the key to good flow and a safe ride! We’ll cover most features found on black graded trails and beyond. 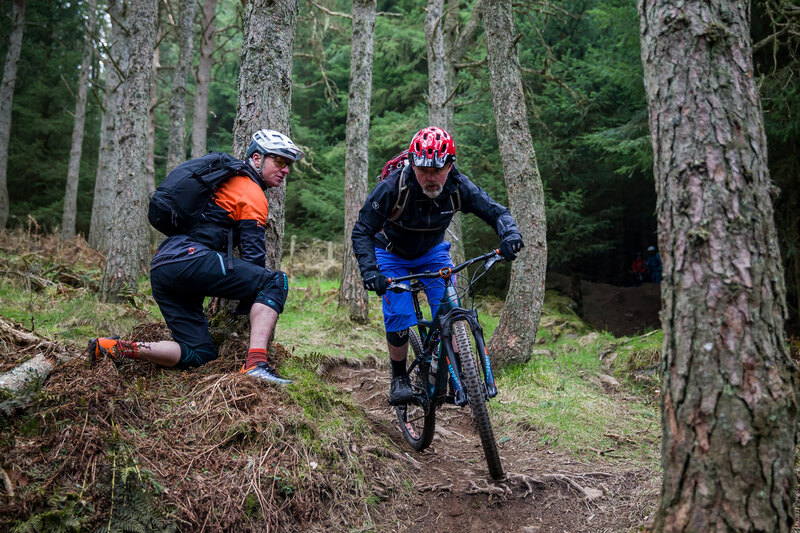 All on the steeper, challenging terrain of Innerleithen’s famous downhill & enduro trails. Fundamentals of weight distribution and grip. Wheel lifts and slow speed balance. 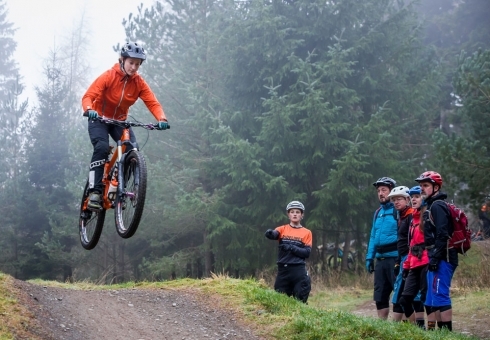 Braking zones on steep & technical terrain. Riding off-camber terrain & technical features. Best practice for negotiating roots, rocks and uneven terrain. Riding narrow, loose and steep trails. We’ll make sure you can handle the rough stuff and get the most out of your riding when out on steep and loose terrain. 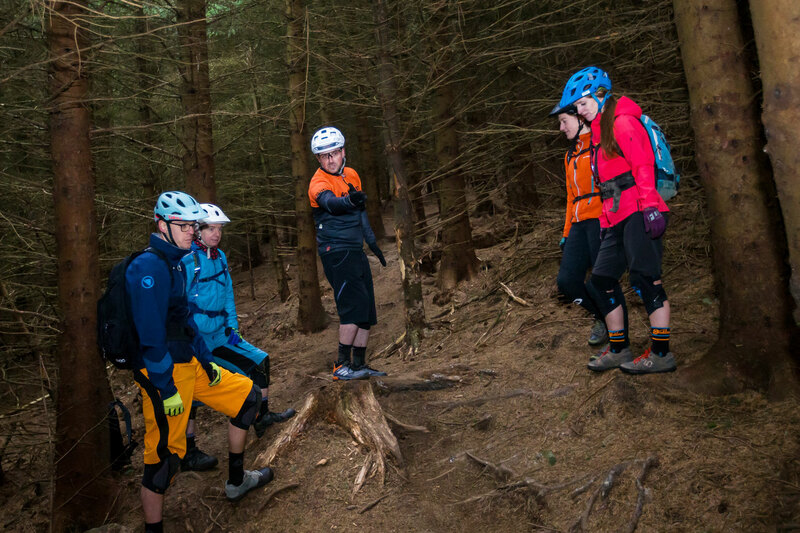 If you have any questions about our Enduro prep course, please contact us. * Fundamentals of weight distribution and grip. * Wheel lifts and slow speed balance. * Braking zones on steep & technical terrain. * Riding off-camber terrain & technical features. * Best practice for negotiating roots, rocks and uneven terrain. * Riding narrow, loose and steep trails. Riders who are very competent on red graded trails. You should also have explored black graded trails as well as black graded obstacles. You should have a good level of general fitness. The course will start at 9:30am and will typically run no later than 3:30pm. Enduro Prep is delivered as a low pressure course but is both mentally and physically taxing. With this in mind, you should also expect to finish as early as 2:30pm. Had a days tuition with Jess doing drops and jumps,money well spent her approach to the session was spot on talking us through each exercise telling what to do and why it should be done that way. By the afternoon we where clearing the bigger tables something I have never managed to do in the past. Thanks again guys.